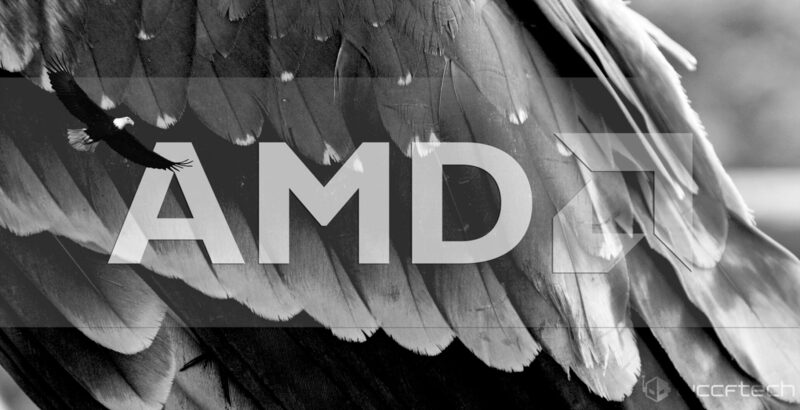 AMD Fenghuang is part of the AMD Avian APU roadmap. I have something rather interesting today: what appears to be the first benchmark of the AMD Raven Ridge 4 core/ 8 thread configuration as well as an x86 name we rarely hear: VIA, or more accurately in this case, Zhaoxin. The benchmarks in question were actually published on the official Zhaoxin page but have since been removed (not before we got a copy of them though). Since the benchmark is from the company’s official page, there is no reason to doubt the authenticity of this leak. While the color key is hard to read, the CPUs are listed in the order that they appear which makes it easy to figure out which bar belongs to which CPU. 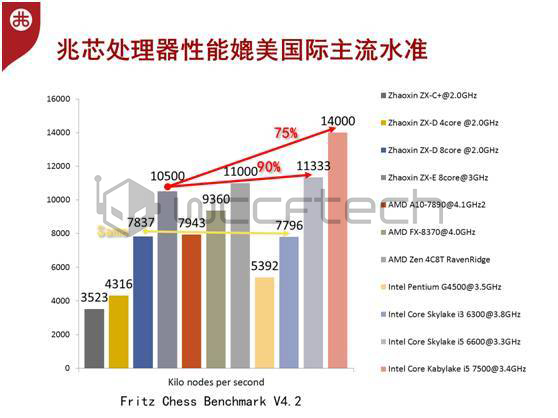 If the Fritz Chess benchmark is any indication then the Ryzen 4 core / 8 thread processors will be able to pack quite a punch. Of course, you should never take a single data point to be representative of the entire sample space but it goes without saying that the first real benchmark does give us a very solid idea about what kind of performance range we can expect from these processors. Unfortunately however, the company did not mention the clock speed the Raven Ridge APU was running at (probably because it was under NDA) which would have allowed us to further narrow down the kind of performance we can expect depending on the core clock of this engineering sample. Let’s also talk a bit about the Zhaoxin processors in these benchmarks. There are 4 different flavors here, the Zhaoxin ZX-C, ZX-D and ZX-E categories. The ZX-D category is further divided into a 4 core and an 8 core tier. To my knowledge, Zhaoxin processors do not employ any kind of SMT so the core count should be equal to the thread count. As I mentioned however, the company has come a very long way. Their 8-core is now actually offering competitive performance to Intel and AMD counterparts – which was unheard of in the recent past. This is something that can only be good for competition. Now the current processors are actually a mutual collaboration between Zhaoxin and VIA and are supposed to bring competitive x86 performance to the Chinese market. VIA was granted the x86 license by Intel for a period of 10 years in 2003, during which it could make x86 based processors and sell them. However, while that period expired in 2013, Intel had also included a 3 year grace period during which negotiations to renew the contract could be had. Anyone without a math handicap would notice that this grace period expired in 2016. The current status of the licensing agreement between VIA and Intel is not known but if VIA is helping Zhaoxin roll out x86 processors then either the former has renewed its license or the latter has received a new one from Intel. Previously, VIA’s (technically, Centaur Technology’s) processors have been at the 28nm process – but this particular gem is actually based on TSMC’s 16nm FinFET node. It features up to 8 cores on a single die and is probably based on a custom derivative of VIA Isaiah by Zhaoxin. It supports all instruction sets upto AVX 2.0 and should be able to handle just about any modern application you care to throw at it. Its worth mentioning that currently VIA does not list the processor on its website.